Above is the best server I know! Sign up for free! Hi izzy6738 (nice name XD) i can make the tools, armors and other items if you want to because i have some skillz in making 32 x 32 textures and can lend a hand. started over from scratch and made this diamond sword im not to happy on the 'wood part' and maybe make it more blackish and also the pre iron/stone sword texture (pretty much the same style). 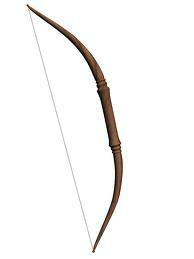 while im wating approval for the form i make the bow and arrow from scratch . Let me fix a stone sword from the iron sword.I only edit textures now. or and the arrow i love the arrow but the bows are not good. i only like the form of it. Delete the other diamond sword texture because i missed 2 white pixel dots in right and left corner and also made the red part diamond blue. The handle looks a lot better now. The red part made it look ugly. Let me fix a stone sword from the iron sword. I only edit textures now. I added very slight shading. tahdah! i made it "cheaper" than iron: more "wood and stone"
I guess I'm better at editing items because I don't need to make it tileable. Izzy it turns out that the stone you gave me has a tileing error so can you try and fix it? Make it less curved than the new one but more curved than the 1st original.